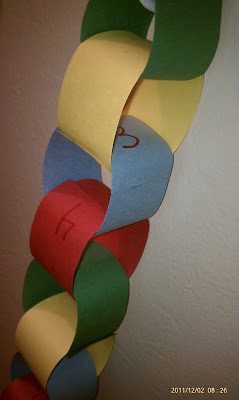 Countdown to Christmas construction paper chain. Easy peasy for both kiddos. I cut the strips, they glued them. Each night when the day is done, we take off a link.